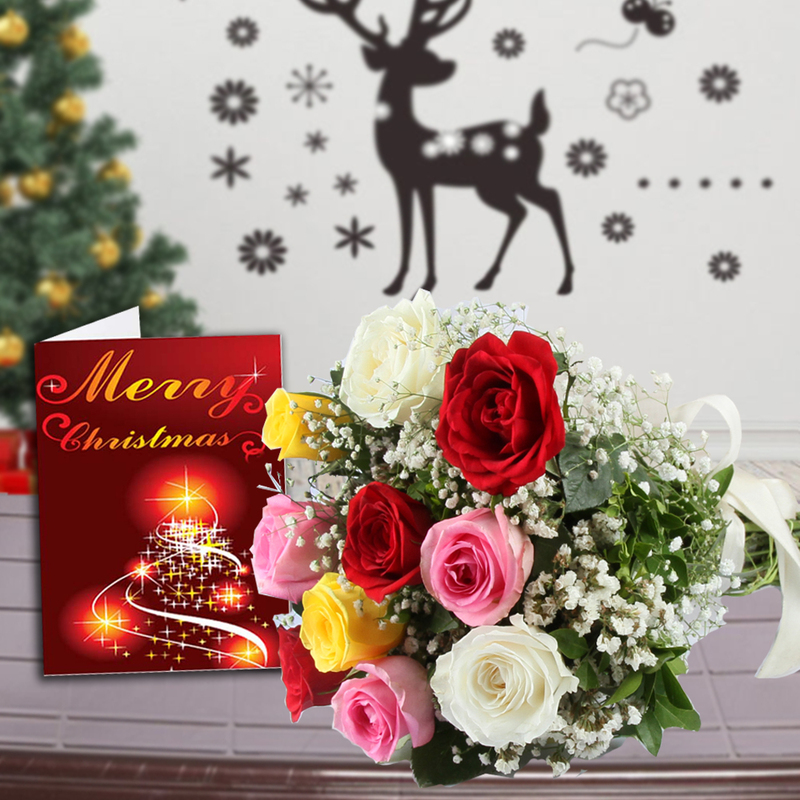 Product Consists : Bouquet of 12 Mix Roses (Red, Pink, Yellow & White) with some green filliers along with Christmas Greeting Card. Cardare considered as simple and best medium for wishing any occasion. 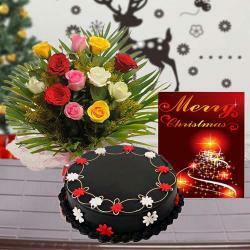 People prefer to give Cardon any occasion as they can write down their feelings and wishes for the receiver. 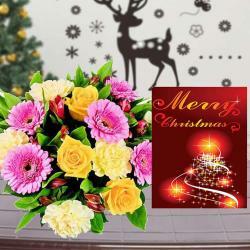 On this Christmas send this beautiful Card and flowers combo to your dear ones and elate them from their heart. The greetings Card of this combo looks very attractive with its bright color whereas the flower bouquet automatically catches the eye ball. The flower bouquet is made up with twelve roses of different colors. It has four pink, four red, four yellow and four white roses. 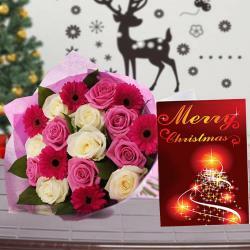 You can gift this Card and flower combo to your girlfriend as it said that girls love roses. 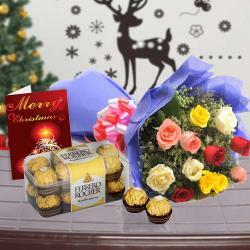 Product Consists : Bouquet of 12 Mix Roses (Red, Pink, Yellow & White) with some green filliers along with Christmas Greeting Card.